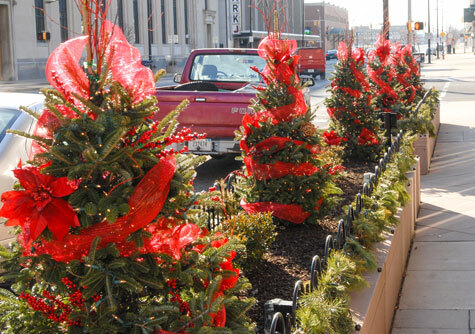 Outdoor Seasonal Displays | Gallery | Dave Talboom Lawncare / Landscape - Landscaping and Lawncare. Pride in Performance. We provide lights, garlands and silk florals for commercial sites, corporate offices or anywhere around town.